We pray today, Lord, for long-term MLA for Prince George-Valemount, Shirley Bond, as she continues to faithfully serve this riding for almost 18 years now. Thank you, God, for her willingness to be available for provincial political service, and her perseverance in serving already for so many years, in very significant roles within government previously. Thank you, Father God, for her passionate heart to serve. Grant her insight and discernment as she considers the best way to serve the constituents of her own riding, and now as a conscientious member of the opposition, particularly as it relates to evaluating important financial decisions made in the recent budget released by the government. Bless Shirley with wisdom and daily strength. Bless her and her husband, Bill, also as they with their children delight in their grandsons. Amen……. 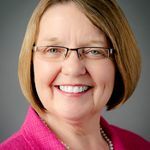 Shirley Bond was elected in 2001 and 2005 as the MLA for Prince George-Mount Robson, and re-elected in 2009, 2013 and 2017 as the MLA for Prince George-Valemount. Shirley has extensive experience serving as Minister in multiple areas over the years. She was the first female to hold the position of Attorney General in British Columbia’s history, a title she held while Minister of Justice. Today, Shirley is the Chair on the Select Standing Committee on Public Accounts and the Official Opposition’s Finance critic. Shirley lives in Prince George with Bill, her husband of more than 30 years.